I received this book for free from Avon Inspire in exchange for an honest review. This does not affect my opinion of the book or the content of my review. 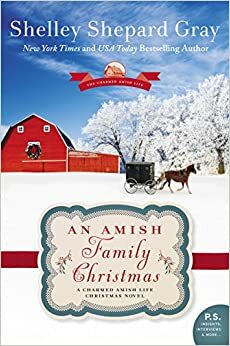 In Shelley Shepard Gray’s fourth book in her Charmed Amish Life series, an unlikely Amish romance reveals that Christmas is a time for family, miracles—and love. Ever since his father died in a tragic fire, Levi Kinsinger has felt adrift. Newly returned to Charm, Ohio, Levi is trying to fit into his old life, only to discover he seems to have outgrown it. Like Levi, Julia Kemps has survived her fair share of hardships—but only by hiding the truth of her past. Being an unmarried mother in an Amish community was unthinkable. Feeling hopeless, Julia did the only thing she could do: she moved to a new town and pretended to be a widow. But meeting Levi, she’s hopeful for the first time. Little by little, she begins to imagine telling him her darkest secret, and eventually…perhaps even sharing her life with him. Christmas is a time for family, and as the holiday draws closer, Julia and Levi will have to face their pasts together…in order to find the healing, support and love they so desperately desire. Immerse yourself in the Christmas season with Shelley Shepard Gray’s last novel in the Charmed Amish Life series. Levi Kisinger is recovering from the loss of his father which prompts him to move out of the big family farm to his own place on Jupiter street.Julia Kemp and her daughter Penny are neighbors, but they keep to themselves, until she locks herself out in the snow and Levi happens upon the scene. Both are in rough patches of life where they struggle to trust others, and to move forward. Ultimately, God’s hand prevails. Readers will enjoy the candid handling of issues like domestic violence with a hopeful background and resolution. Levi’s character is one of fierce protector and gentle father figure. The setting is idyllic recognizing there are problems in the world but there is always a greater good. Perfect for the holiday season, I recommend the entire series for purchase. Enjoy clean, Amish fiction. I live in southern Ohio with my husband, two teenagers, and two dogs. My days are filled with busy activities like most any other mom and housewife. But I also love to write books. Each morning, after my kids go off to school, I sit at my desk, look out my window, and dream of other places. The hours fly by as I make up people and places and drink way too much coffee. Writing for Avon Inspire has truly been a dream come true. Being able to spend my days in my make-believe world of the Brenneman Bed and Breakfast is a true blessing. I have enjoyed getting to know more about the Amish culture and tapping into my faith as I show each character’s progression toward a personal relationship with our Lord. Before becoming a full time writer, I taught elementary school in Texas, Arizona, and Colorado. A job transfer to Ohio led my husband to encourage me to finally give writing a try. After all, I had notebooks full of made up stories. I’ll never forget that first book I typed in our unfinished basement. It was exciting to make up a story, but also very scary. I was also so embarrassed, sure someone would come out of the woodwork and point out that I wasn’t a ‘real’ writer. But I persevered, and sold my third manuscript. Things have changed a bit. Now I have a real office of my own. (think old guest bedroom!) My walls are painted pink, and more than a couple of book covers decorate my walls. But my days are still the same. I wake up, dream about other people, and do my best to type out stories. After President Woodrow Wilson suffered a paralyzing stroke in the fall of 1919, his wife, First Lady Edith Wilson, began to handle the day-to-day responsibilities of the Executive Office. Mrs. Wilson had had little formal education and had only been married to President Wilson for four years; yet, in the tenuous peace following the end of World War I, Mrs. Wilson dedicated herself to managing the office of the President, reading all correspondence intended for her bedridden husband. Though her Oval Office authority was acknowledged in Washington, D.C. circles at the time–one senator called her “the Presidentress who had fulfilled the dream of suffragettes by changing her title from First Lady to Acting First Man”–her legacy as “First Woman President” is now largely forgotten. William Hazelgrove’s Madam President is a vivid, engaging portrait of the woman who became the acting President of the United States in 1919, months before women officially won the right to vote. William Hazelgrove’s riveting style lets us into the backrooms of the White House to see how a woman who had only two years formal education was able to pull it off and do it for two years! A great read and ride! President Woodrow Wilson lay with his mouth drooping, unconscious, having suffered a thrombosis on October 2, 1919, that left him paralyzed on his left side and barely able to speak. The doctors believed the president’s best chance for survival was in the only known remedy for a stroke at the time: a rest cure consisting of total isolation from the world. From there, Edith Wilson would act as the president’s proxy and run the White House and, by extension, the country, by controlling access to the president, signing documents, pushing bills through Congress, issuing vetoes, isolating advisors, crafting State of the Union addresses, disposing of or censoring correspondence, and filling positions. She would analyze every problem and decide which ones to bring to the president’s attention and which to solve on her own through her own devices. All the while she had to keep the fact that the country was no longer being run by President Woodrow Wilson a guarded secret. William Elliott Hazelgrove is the best-selling author of thirteen novels, Ripples, Tobacco Sticks, Mica Highways, Rocket Man, The Pitcher, Real Santa, Jackpine and The Pitcher 2. His books have received starred reviews in Publisher Weekly and Booklist, Book of the Month Selections, Junior Library Guild Selections, ALA Editors Choice Awards and optioned for the movies. He was the Ernest Hemingway Writer in Residence where he wrote in the attic of Ernest Hemingway’s birthplace. He has written articles and reviews for USA Today and other publications. He has been the subject of interviews in NPR’s All Things Considered along with features in The New York Times, LA Times, Chicago Tribune, Chicago Sun Times, Richmond Times Dispatch, USA Today, People, Channel 11, NBC, WBEZ, WGN. The Pitcher is a Junior Library Guild Selection and was chosen Book of the Year by Books and Authors. net. His next book Jackpine will be out Spring 2014 with Koehler Books. A follow up novel Real Santa will be out fall of 2014. Madam President The Secret Presidency of Edith Wilson will be out Fall 2016. Storyline optioned the movie rights. Forging a President How the West Created Teddy Roosevelt will be out May 2017. 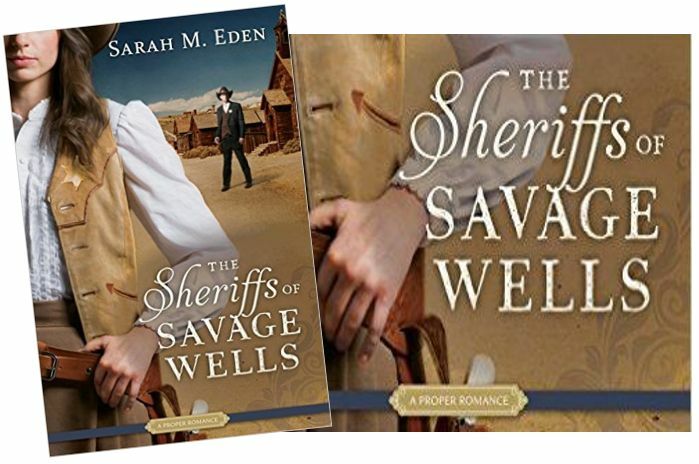 The small town of Savage Wells is barely big enough for the people who call it home; it certainly isn’t big enough for more than one sheriff. Yet when famed lawman Cade O’Brien rides into town, he finds he’s not the only man ready to take on the job. What’s more, one of his competitors is a woman. Paisley Bell loves her town and the eccentric people in it. She’s been the job to anyone else. Not only does she love the work, but she also needs the income to take care of her ailing father. It’s a true battle of the sexes, and sparks fly between the two as Cade and Paisley banter and boast, neither one ready to acknowledge the attraction they have for each other. 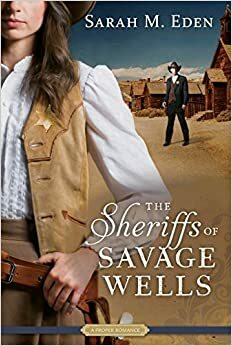 But when Paisley’s former beau shows up, along with a band of bank robbers, Savage Wells is suddenly faced with the kind of peril that only a sheriff can manage. Who will be man enough—or woman enough—to step up, claim the badge, and save the town? Sarah M. Eden is a USA Today bestselling author of multiple historical romances, including AML’s “2013 Novel of the Year” and Foreword Review’s 2013 “IndieFab Book of the Year” gold medal winner for Best Romance, Longing for Home, and the Whitney Award’s “2014 Novel of the Year,” Longing for Home: Hope Springs. 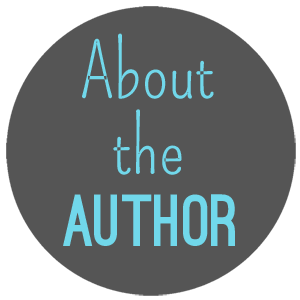 Combining her obsession with history and affinity for tender love stories, Sarah loves crafting witty characters and heartfelt romances set against rich historical backdrops. She holds a Bachelor’s degree in research and happily spends hours perusing the reference shelves of her local library. Sarah lives with her husband, kids, and mischievous dog in the shadow of a snow-capped mountain she has never attempted to ski. What do you do to start off your day on the right foot? We are currently studying the Book of Mormon. We listen along in our own set with this website . There are great Bible videos here, or you can read the Bible here. We make a timeline with events we read about that is hanging in the classroom. 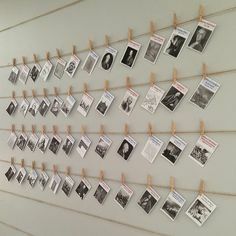 The line is made of simple hemp string and mini clothespins to which we attach index cards with visual images of the events printed off the computer. Use the topical study paragraphs. We print one out each day and keep them in a binder for reference. We also listen to the Q & A’s on each topic via podcasts on the LDS media library. We use the Noah Webster’s dictionary 1828 edition for definitions. Our family has noticed a big difference in the atmosphere of our home since we started doing an organized, regular devotional. 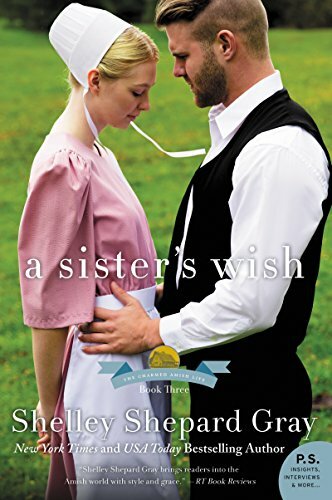 In Shelley Shepard Gray’s third book in her Charmed Amish Life series, a respectable young woman finds herself falling for an Amish man from the wrong side of the tracks. In the third book of New York Times bestselling author Shelley Shepard Gray’s Charmed Amish Life series, a young woman finds herself falling for an Amish man from the wrong side of the tracks. Amelia Kinsinger may seem like the perfect Amish woman, but she is harboring a secret: She’s been in love with bad boy Simon Hochstetler for as long as she can remember. Life hasn’t been kind to Simon. He ran away from an abusive home and landed in prison. Now back in Charm, he’s determined to put his wild past behind him and make a new life. And Amelia is off limits. Everyone thinks she’s too good for Simon—most of all her older brother, who just happens to be Simon’s best friend. When a chain of events forces them to face their past mistakes, all their secrets are revealed. Now Simon must dare to trust Amelia, and she must show him that he is already everything she ever wished he could be. I’ve long been a fan of Shelley Shepard Gray, and this is my favorite book of hers yet. The Amish life is idyllic, slower paced and simpler. Courting with horse drawn buggy rides, home cooked meals and family ties that run generations mark their society. In this third installment of the Charmed Amish Life series, Shelley addresses the effects of childhood abuse and the returning to the fold. It’s a book about repentance, turning of the hearts back to God and forgiving to move on stronger. Amelia and Simon are childhood friends, raised in the same community. Each strong in their own way, their regard for each other is enough to carry them through family interference and rumors. I enjoyed the care and tenderness in their relationship as well as the loyalty they who one another. Gray’s writing takes us back in time, yet juxtaposes modern day issues and situations on top of the old fashioned way. This is a series I highly recommend, book three is perfect as we move into Fall. Well done Ms. Gray! Shelley Shepard Gray lives in southern Ohio and writes full time. A busy wife and mother of two, she spends her days writing and keeping track of her two teenagers. Her two dogs keep her company when she writes in her basement. 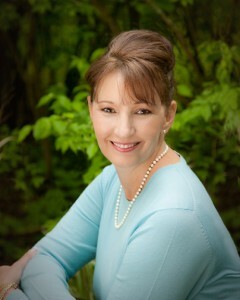 Shelley enjoys writing about the Amish and visits Amish communities in Adams and Holmes counties several times a year. When not spending time with her family or writing, she serves on several committees in her church. She also bakes a lot, loves coconut cream pie, and will hardly ever pull weeds, mow the yard, or drive in the snow. Shelley also spends a lot of time on line! Please visit her website, www.shelleyshepardgray.com to find out her latest news…or become her friend on FaceBook. Lila Mae Guidry is a Southern girl through and through. As a fourth-generation Latter-day Saint in Baton Rouge, Louisiana, she's proud of her heritage as both a Southerner and a Saint—and she doesn't take kindly to people who disparage either. Ten years ago, Max Archer was just that kind of jerk. As the mission president's son, Max spent his entire three years mocking the South . . . and teenage Lila. After Max's family moved away, Lila forgot about her sworn enemy. Almost. When a new job brings a grown-up Max back to Baton Rouge, Lila is less than thrilled with his reappearance, especially since everyone seems intent on throwing her together with this old adversary. Yet fight as she may, Lila soon realizes resistance is futile—their connection is undeniable. Max embodies everything she wants in a man—except perhaps the most important thing her life is rooted in the city she loves, but his dreams are bigger than Baton Rouge. With such mismatched visions of the future, Max and Lila are faced with a life-altering decision: jeopardize their aspirations or risk losing love. Southern Charmed will take you right into the bayou with its home cooked food, barefoot walks by the dock, Cajun restaurants and society pages. 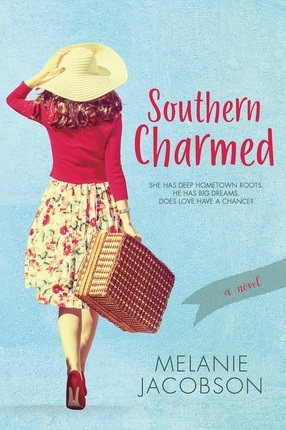 Melanie Jacobson does a wonderful job of pulling the readers into a world where debutantes have been raised to answer “yes ma’am and sir, where family roots run deep. Lila Mae is beginning to get pressure from her mom to get married and raise grandbabies. Already established in a teaching career at a high school with low income teens, Lila lives at home. Her love for Louisiana runs in her veins, as does her desire to take care of her mother, who is recovering from the loss of her husband. Along comes Max, Lila’s childhood crush to mix things up. There is a side plot with a student Kiana who has a rough home life. She’s got talent, but with a mom on drugs in and out of the home, she lacks the resources to go to college or make a better life for herself. One girl who wants to launch but may not be able to and her teacher who has opportunity to leave, but wants to stay rooted. I absolutely loved the first half of the book, the world building and the banter between Max and Lila. The drag for me was the inner conflict within Lila. It felt a bit drawn out. I saw hints things would work out on their own, but one character was forced to compromise. This book is reminiscent of Melanie’s other works with strong lead women characters, and some non-profit and political undertones. My favorite element of her writing is the clean romance. You will want to visit the South after reading this book just to sample the food! Melanie Bennett Jacobson is an avid reader, amateur cook, and champion shopper. She lives in Southern California with her husband and children and a series of doomed houseplants, and is currently pursuing a Masters degree in writing for children and young adults. Aspen Everlasting will be reduced to just 99 cents on Amazon! I received this book for free from Cedar Fort in exchange for an honest review. This does not affect my opinion of the book or the content of my review. The plan was to serve a mission, marry her boyfriend, and live happily ever after. But all of that changed when Quinn got a Dear Jane email. Now she's stuck at home with no boyfriend, no job, no major, and absolutely no social life. Will Quinn ever find the path that leads to her eternal happiness? 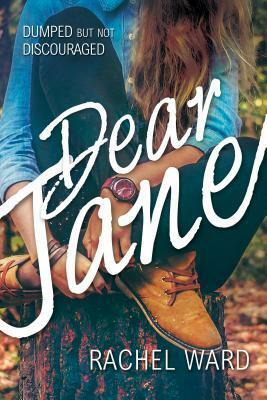 Quinn, an LDS missionary receives the dreaded letter, a Dear Jane from her boyfriend. She’s home, without a life plan, a job or an apartment. Life is not at all what she planned. With family problems and running into the elder who bothered her the most, life has dealt some unexpected blows. A story with trigger issues, this one is recommended for adults. There are religious, LDS themes embedded in the story. I was able to read it in two days, as the author does a great job of holding reader’s interest. Be aware that it’s got some not so light and fluffy parts. My one reservation was that it seemed like a too many tragic life events in a short amount of time. But, overall, I give it high mark for keeping me up late at night reading! Rachel Turner Ward graduated from Hillcrest High School after spending two years writing for the yearbook and the creative writing magazine. She then studied English at Brigham Young University­–Idaho, graduating with an emphasis in Literary Studies. 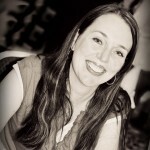 She has contributed to several online publications, including Mormon Mommy Blogs and SheSteals. She has written a personal blog since 2009, Trapped Between a Scream and a Hug. I received this book for free from Covenant in exchange for an honest review. This does not affect my opinion of the book or the content of my review. Is it possible to feel peace when our lives and the world feel out of control? The short answer is yes! Trying to manage the ups and downs of life can feel overwhelming, but fortunately we're not alone on this journey. With inspiring doctrinal insights and a healthy dose of humor, author Michelle Wilson inspires readers to let go of fear and find peace, even in the midst of lost jobs, health challenges, or everyday chaos at home. 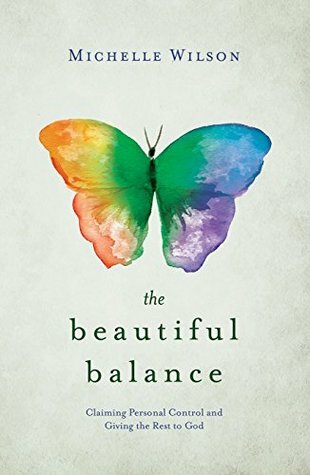 In a world that seems so tempestuous, The Beautiful Balance is a sweet reminder of exactly what we can control—ourselves—and what God controls—all the rest. This book has a perfect messages of letting go and letting God. There is in reality, little we have control over in life save it be ourselves. We are free to act or react in any given situation. Author Michelle Wilson reminds readers that we can’t possible do everything on our own or stay in balance without the Lord’s help, we simply can’t do it alone. Filled with scripture, personal stories and doctrinal insight, consider this a small pocket guide to “gaining personal control and giving the rest to God.” I would recommend reading it in chunks, a chapter a day. 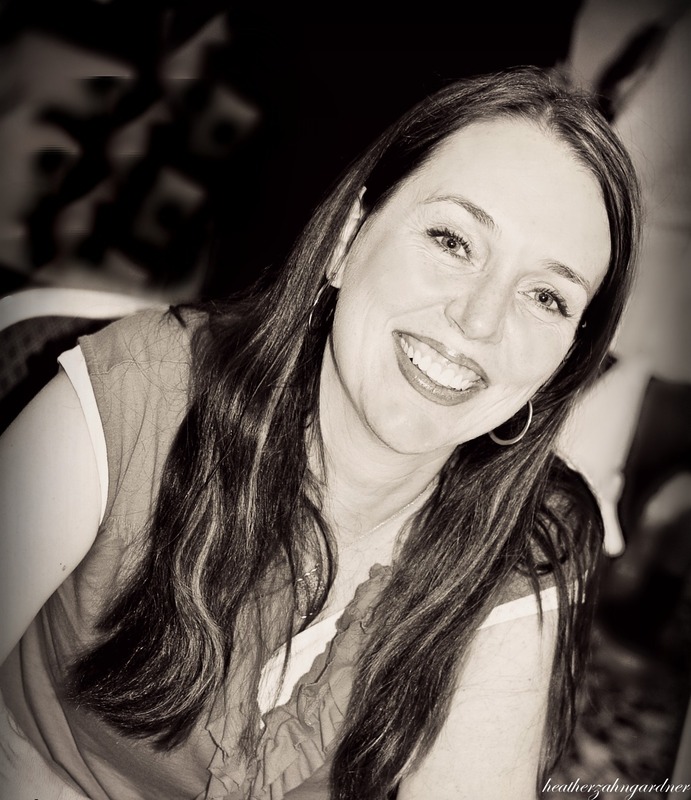 Michelle Wilson writes magical realism and inspirational nonfiction. She is the author of “Does This Insecurity Make Me Look Fat?” and “The Beautiful Balance: Claiming Personal Control and Giving the Rest to God,” along with other fiction and nonfiction works on the way. Michelle loves faith, family, food, and smiling. She is an expert at Guitar Hero, has a bad habit of laughing at the wrong times, and hates writing about herself in third person because it’s just weird. Can she do it or will she end up a basket case? Find out how she does it in this hilarious conclusion to the Spinster series! By day, Becky Monson is a mother to three young children, and a wife. By night, she escapes with reading books and writing. In her debut novel, Becky uses humor and true-life experiences to bring her characters to life. She loves all things chick-lit (movies, books, etc. ), and wishes she had a British accent. She has recently given up Diet Coke for the fiftieth time and is hopeful this time will last… but it probably won’t.